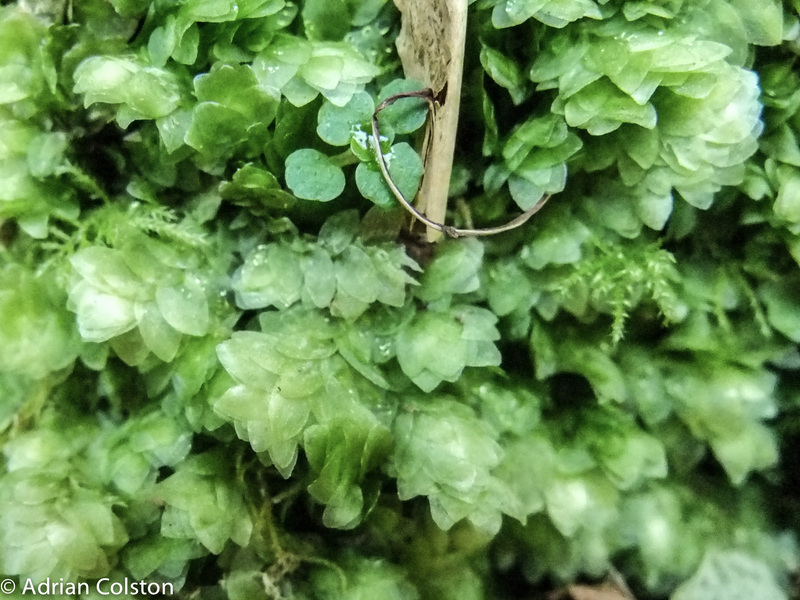 I went for a short walk around parts of Lydford Gorge yesterday. The Gorge is not fully open now and is operating under its winter hours opening – if you plan to visit check our website first to ensure you are not disappointed. 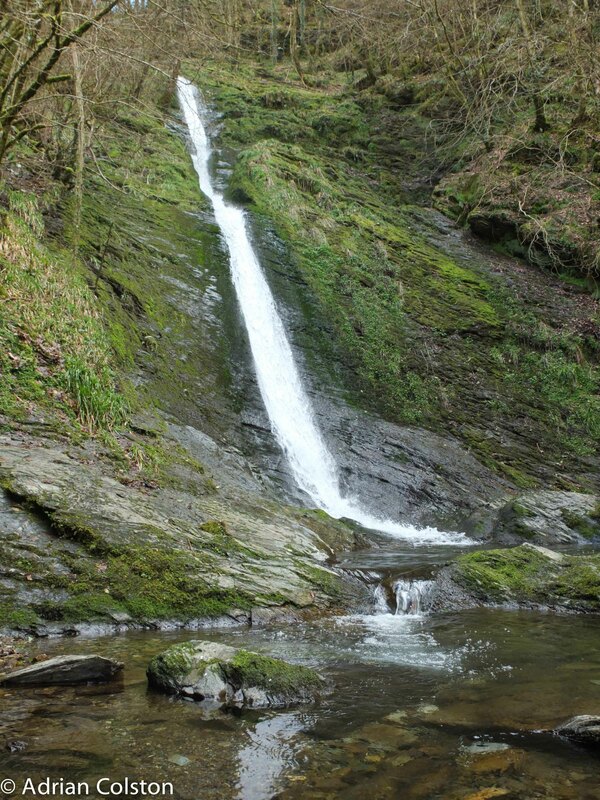 NB access to the White Lady Waterfall is possible all year round. See here for further details. 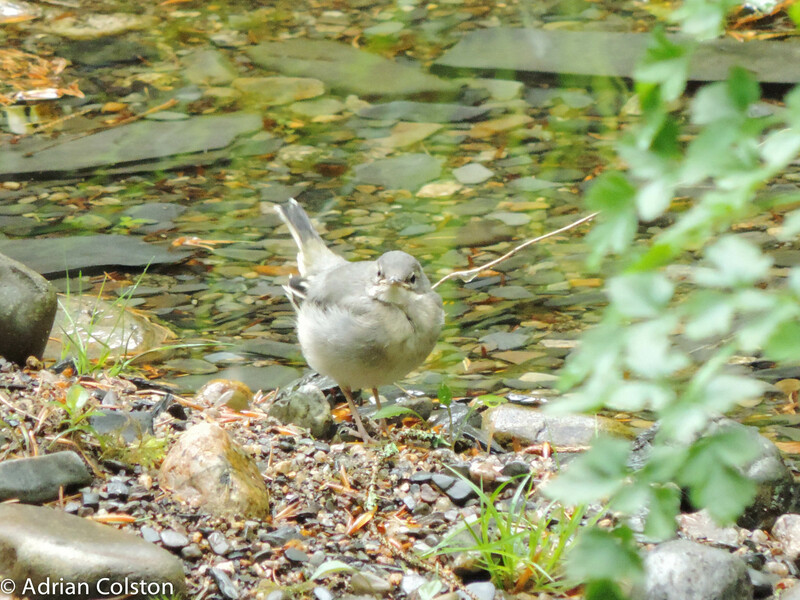 Ursula Mann, one of our Visitor Reception Assistants at Lydford Gorge runs our Facebook site too and has recently been trained to record videos and make short films. 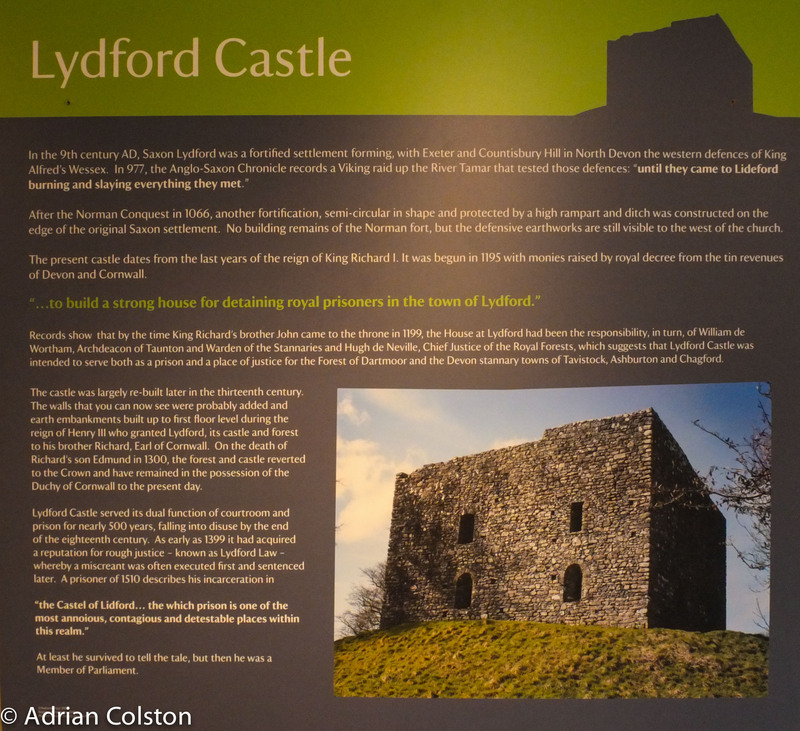 Here is one she has made featuring Katie Glew, another of our VRAs at Lydford talking about walking her dog at the Gorge. 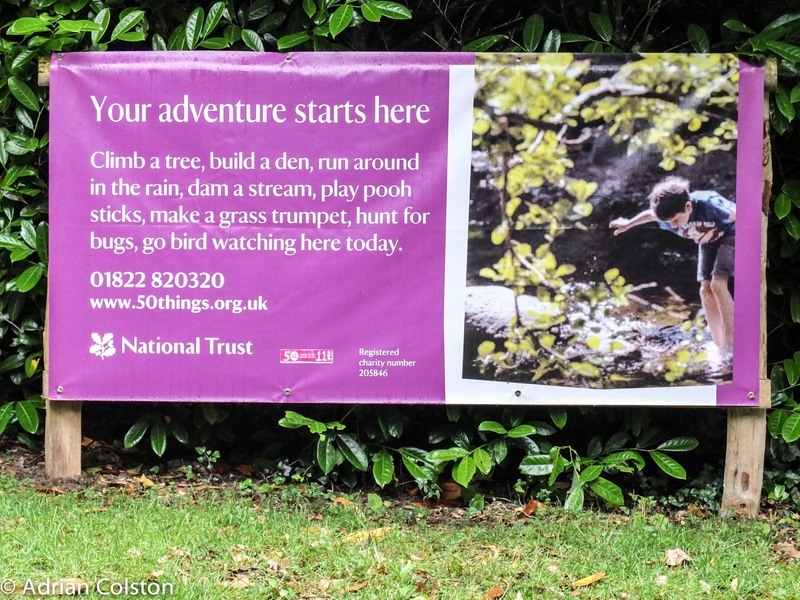 The National Trust centrally really liked the video and posted it on our national YouTube Channel- good effort – well done to everyone involved. 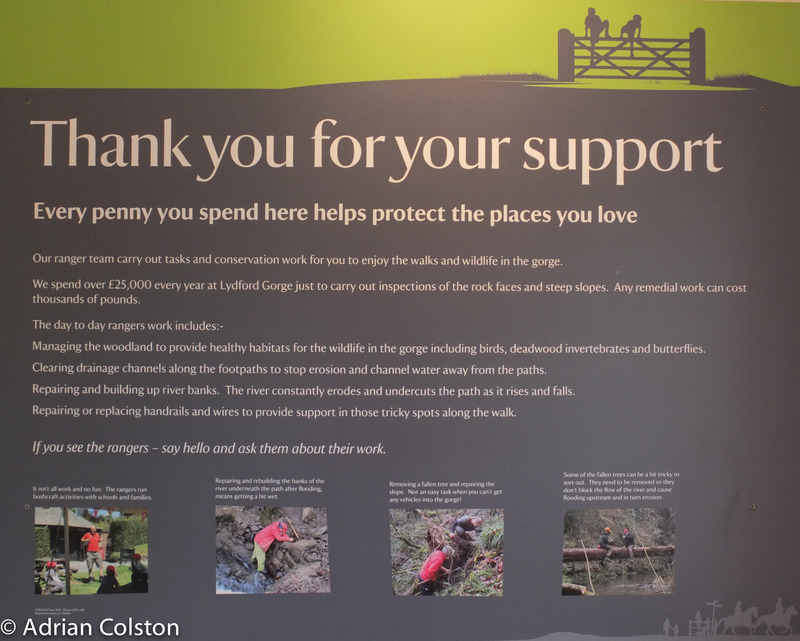 We have recently installed some new interpretation for our visitors at Lydford Gorge – I really like it. Where else can you go on Dartmoor? 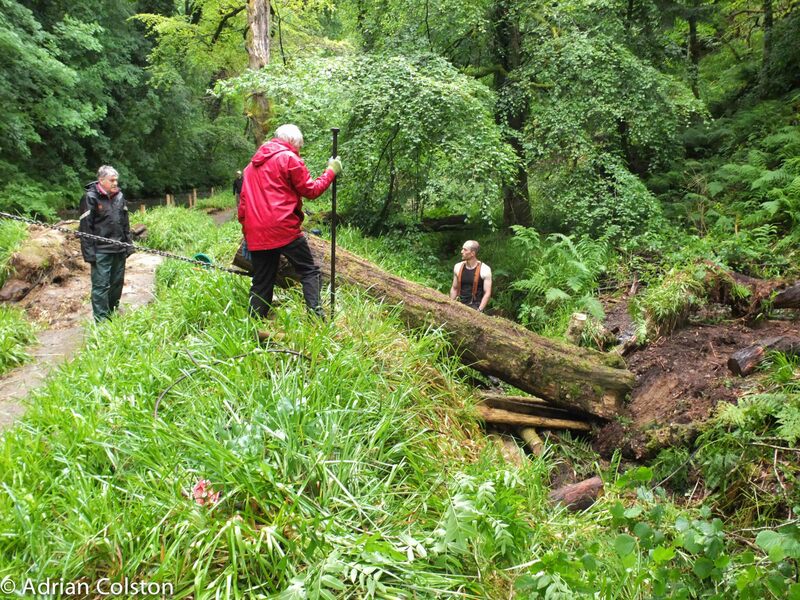 It takes time and a lot of muscle power – we can’t get vehicles into the Gorge …. Our Ranger at Lydford Gorge, Steve Phillips found a really rare moth on Tuesday at the bottom of the White Lady Water Fall. 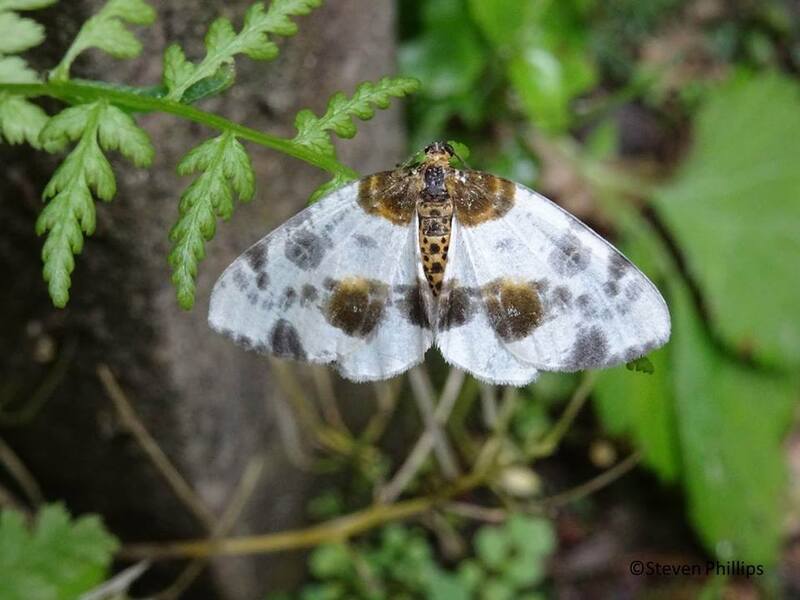 The moth is called a clouded magpie. The caterpillars feed on various species of elm and has always been very local in Devon. 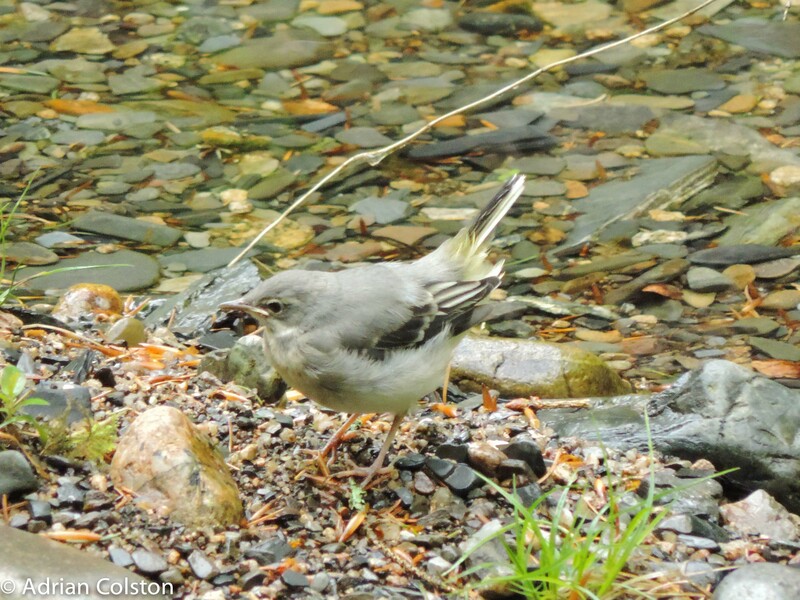 There are a few records from the 1880s and early 1900s but there a very few recent sightings. 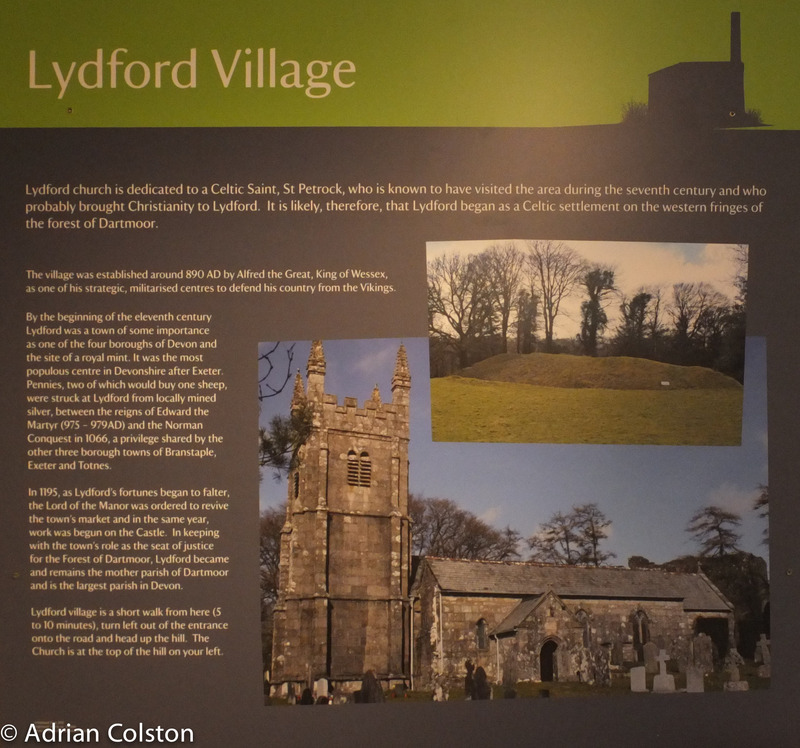 There are a couple of records from the Lyd Valley more recently. 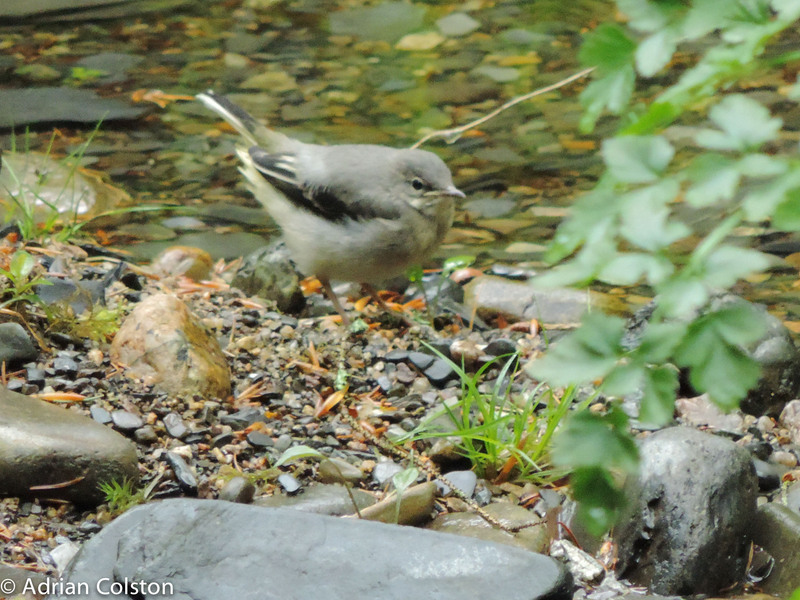 It is really good to know that the clouded magpie survives at Lydford Gorge. The species must have had a very difficult time as a result of Dutch Elm Disease but fortunately Wych Elm which is found at Lydford Gorge has fared better than the smaller leaved elms in the East of the country. 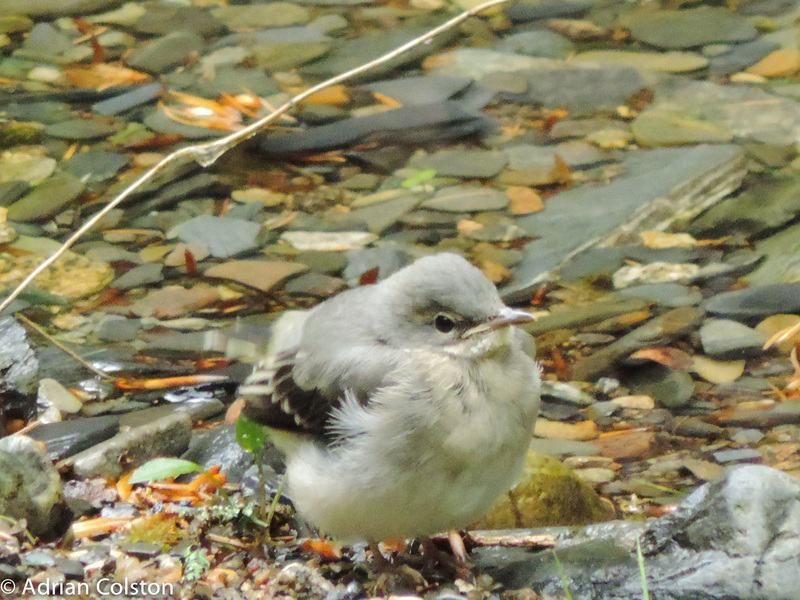 A great find by Ranger Steve – well worth keeping your eyes open – you never know what you might find next. 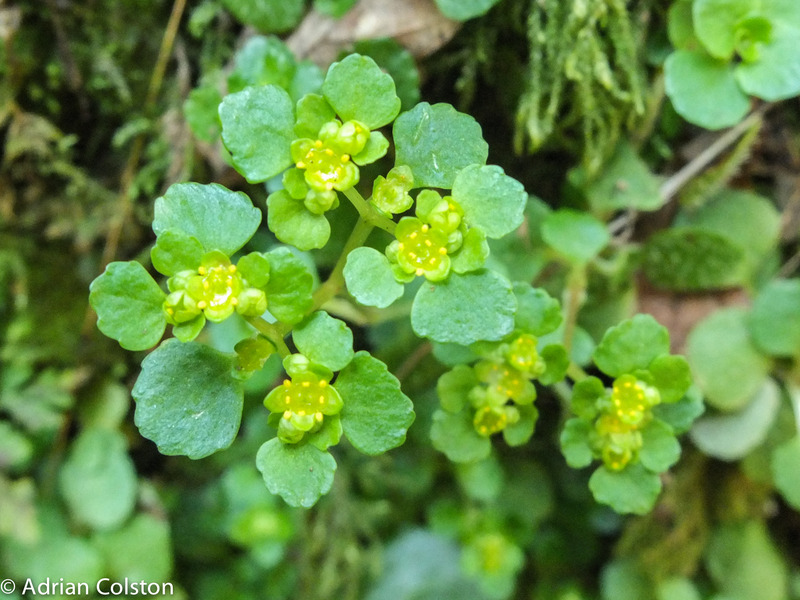 Lydford Gorge is well worth a visit at this time of year – it is a magical place swathed in green from the sessile oaks and bubbling with noises from the River Lyd. 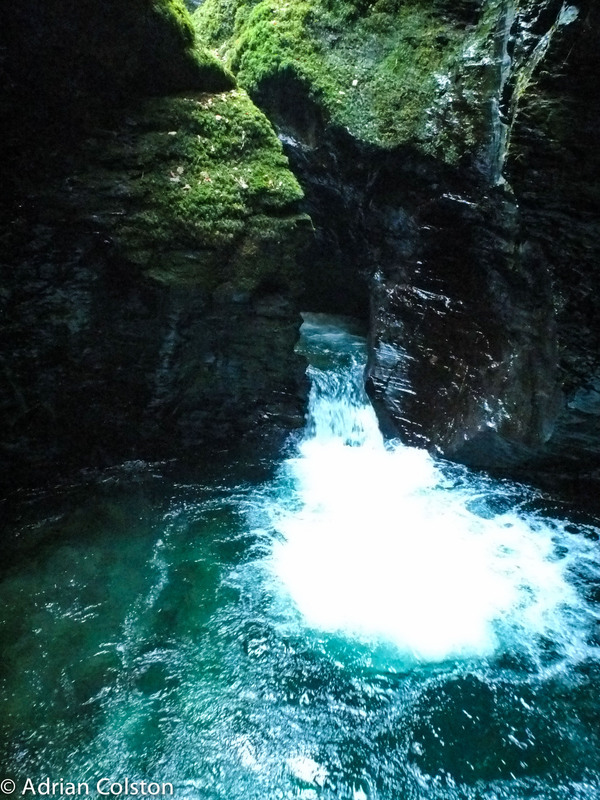 For details on how to visit Lydford Gorge – see here. 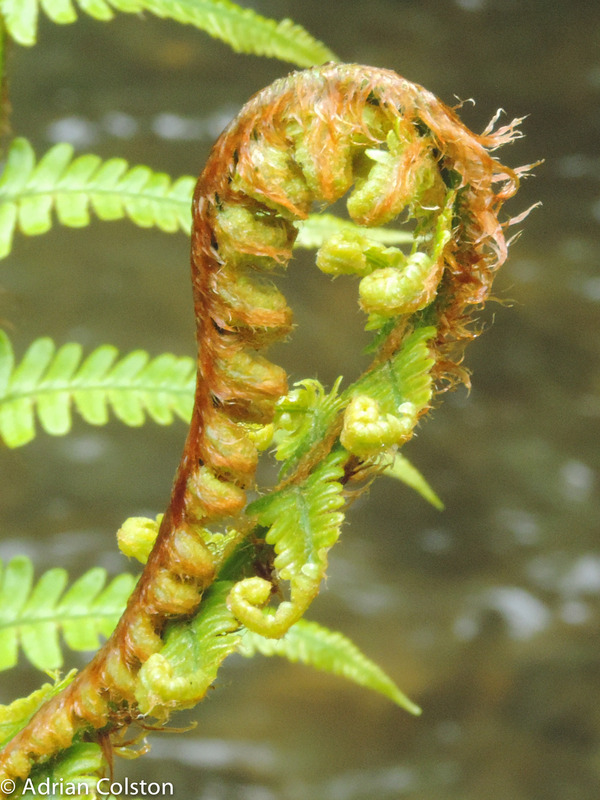 Lydford Gorge and the Lyd – its like going up the Amazon! My job can be very varied. 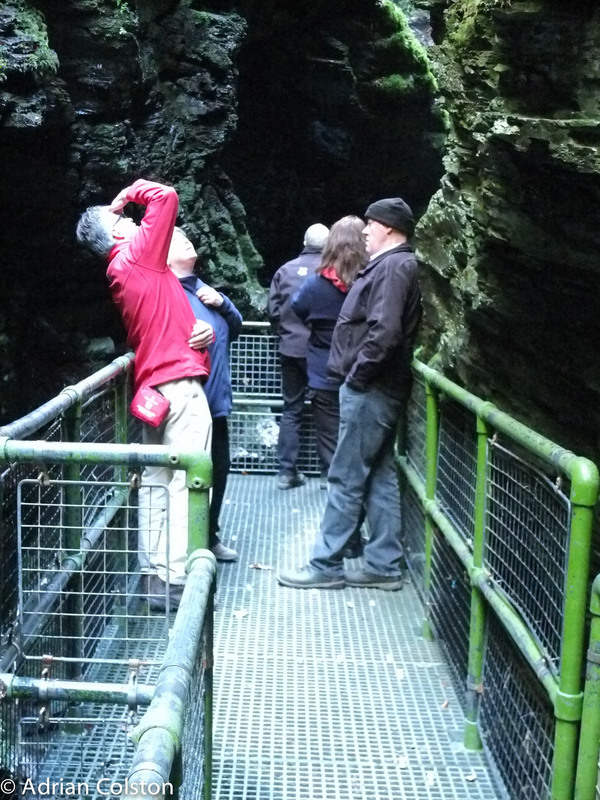 Yesterday I spent the day at Lydford Gorge with our Area Ranger Adrian Shaw, a couple of people from the Trust’s Operational Risk Team, a lady from the Health and Safety Executive (HSE) and another lady who is an Environmental Health Officer (EHO) representing local authorities with regard to the National Trust in England. 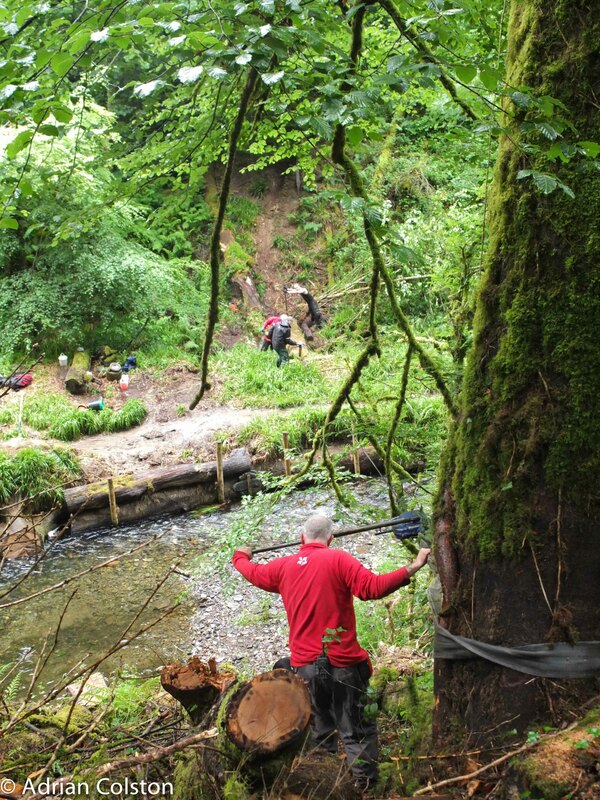 The aim was to detail our approach, at Lydford Gorge and therefore the National Trust as a whole, to visitor safety. I suppose it is natural to be anxious whenever the HSE or an EHO visits one of our properites but on this occasion it was for a fact finding visit opposed to an enforcement one! 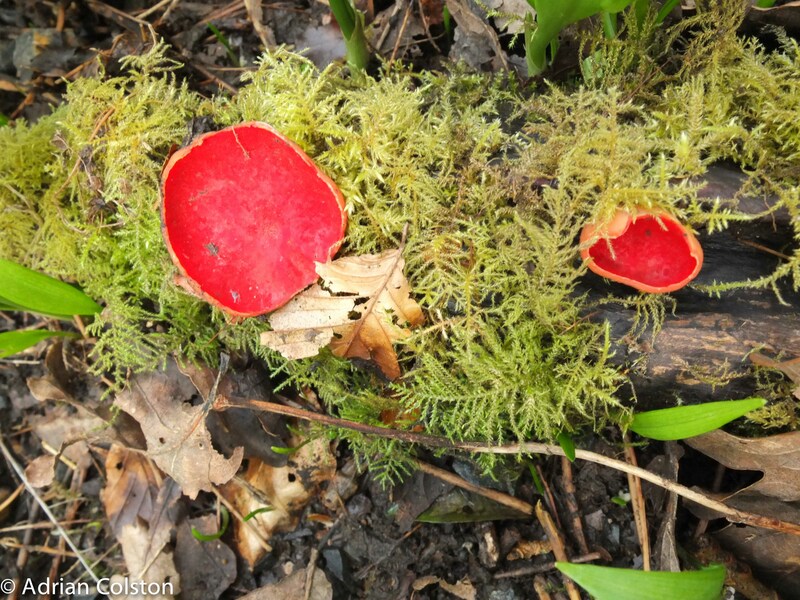 On the way round we found some scarlet elf cups (Sarcoscypha coccinea) which are becoming rare in Britain and Europe and as a result have been red listed! All in all the meeting was very successful. However I had to mention to the four Health and Safety specialists as they left the Gorge that they had in fact been rather fortunate as the Gubbins tend not to like their type and couldn’t have noticed their visit! 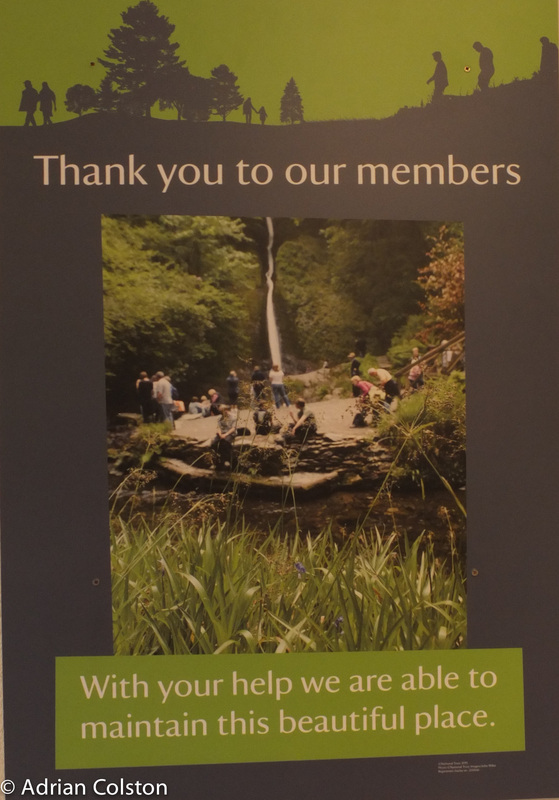 The Dartmoor team along with a number of Regional colleagues have just completed our Spirit of Place statement for Lydford Gorge. 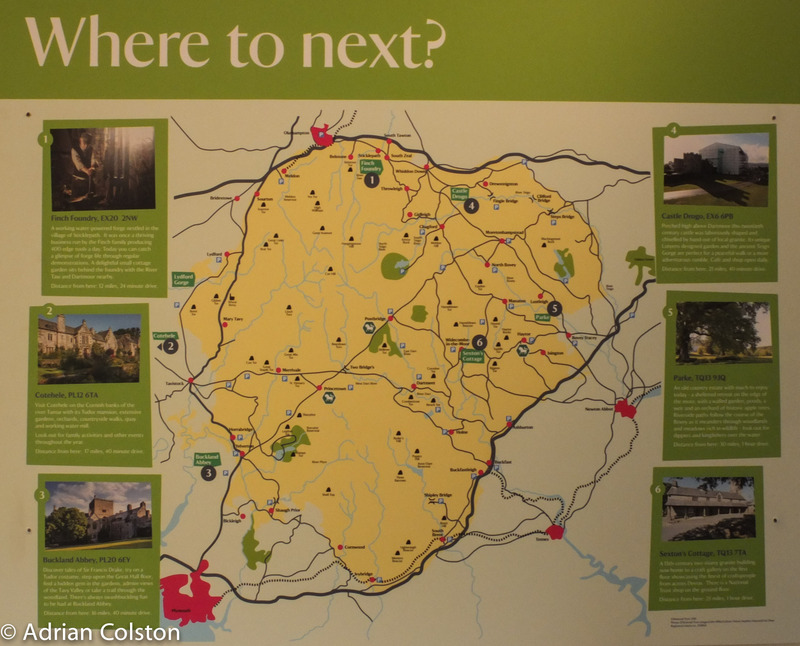 It is based on how we all feel about the place and what our visitors like about it too. 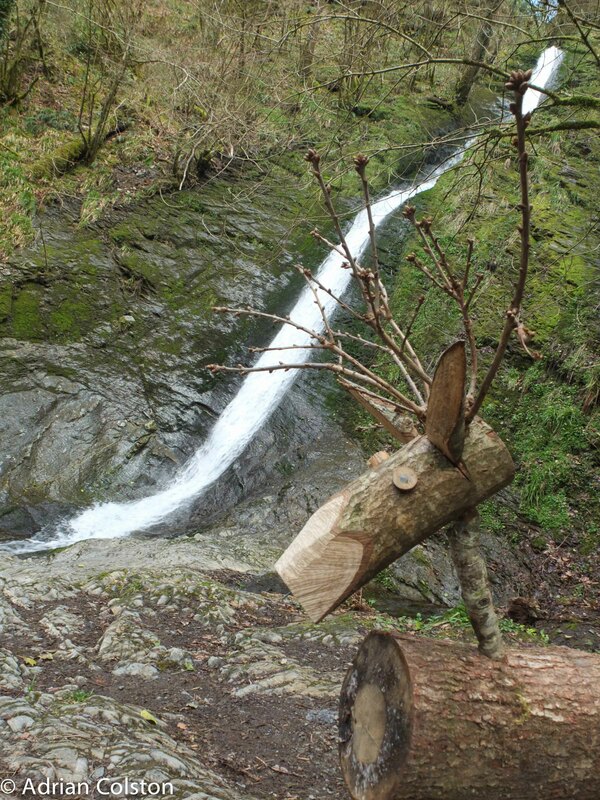 I hope you like it too – we will now use it to bench mark everything we do at Lydford Gorge thus ensuring we keep it a special and magical place. Walking through the gorge is a challenging but rewarding adventure. 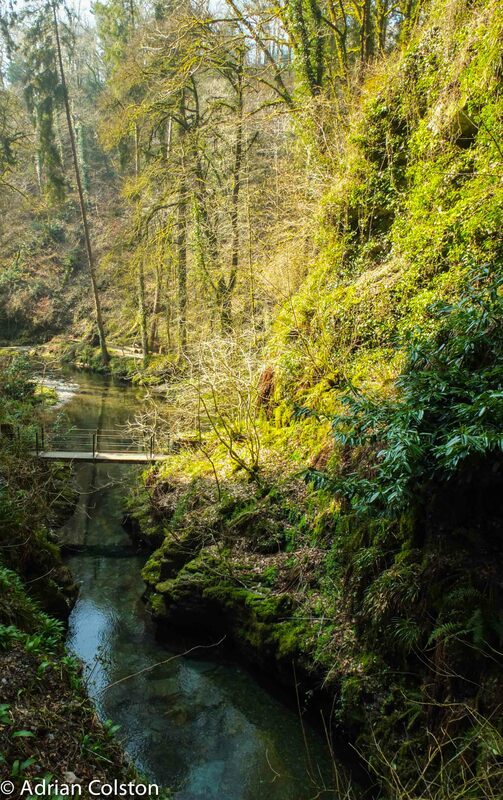 The only way through is on foot where you will discover mystical woodlands with cascading waterfalls, tranquil pools and gurgling streams, a timeless treasure which has ignited the imagination since Victorian times and before. 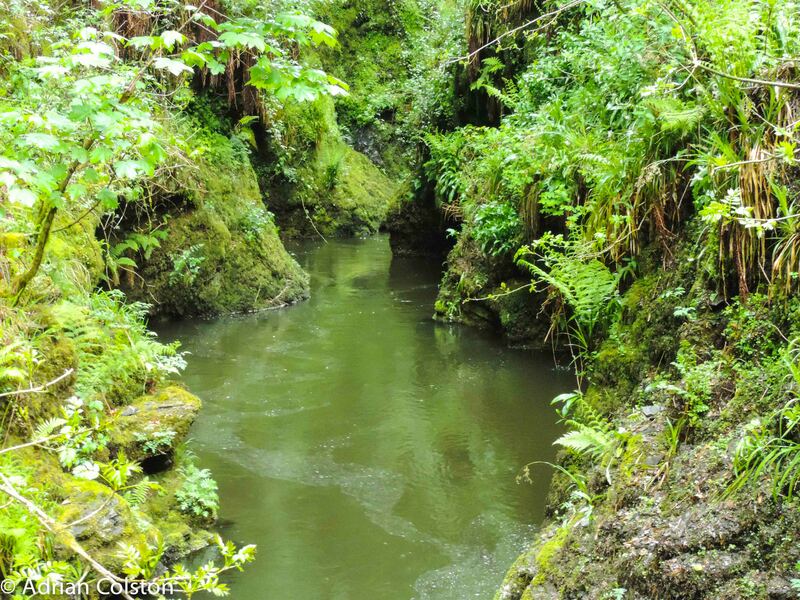 The river Lyd has carved potholes and whirlpools over thousands of years, sometimes thundering and tumbling and in other places gently gliding with its moods ever changing in rhythm with the seasons and the weather. The sound of dripping water, birds singing and trees and rocky crags towering above you makes you feel you are in a primeval world. 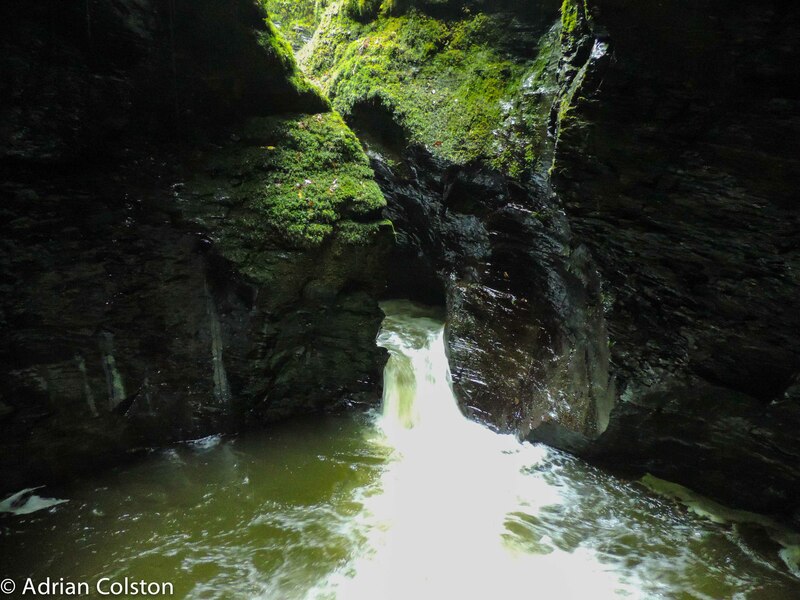 The gorge defended all who lived in Lydford with the deep chasm acting as a natural barrier to any invading threatening forces. Imagine people who over many hundreds of years harnessed the natural power of the river through milling and tin streaming with their history and lives now shrouded by layer upon layer of vegetation. Mysterious yet romantic and enchanting; myths, legends and folklore abound. 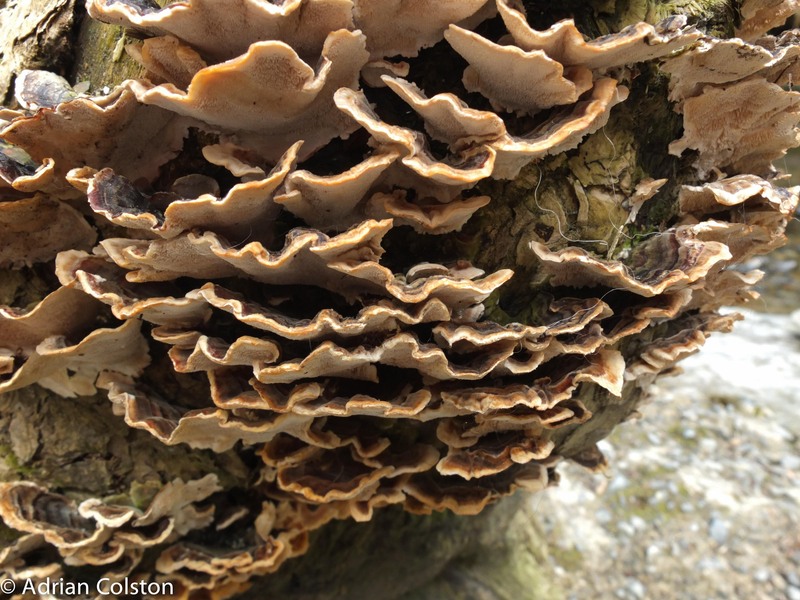 Wild flowers, fungi, garlic and bluebells mixed with the scents and sounds of wildlife in their natural habitat capture your senses as you walk. This is a ‘temperate English rainforest’, luxuriantly green and humid, cut off from civilisation yet available for visitors to experience and enjoy.